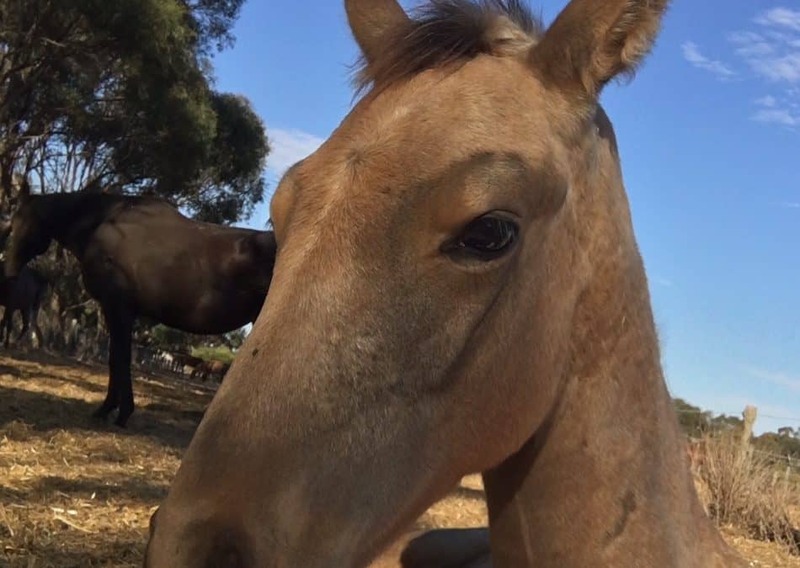 Torres owned by Tamara Potter of Strathalbyn, SA, has made a full recovery from joint ill as a 3 week old foal. Here is their story. Tam contacted me in November last year for a herbal program for Torres, who had been diagnosed with joint ill, as she did not want to use the veterinary treatment of joint flushing. He had received plasma at 5 days of age after his antibody test was very low. She was also very concerned as his temperature was remaining high at over 39. Torres was immediately started on my herbal anti-inflammatory formula Rejuvenate which Tam borrowed from her friend and my client Maddie Shoesmith who always keeps this formula on hand for first aid treatments. Ten out of ten for good thinking here! Tam was amazed that this brought his temperature down within 24 hours so we decided to keep him on this for another few weeks. I obtained all the information about Torres who is by a Warmblood stallion and his TB dam Pippy so I could formulate his treatment program and natural diet for them both. He quickly started to enjoy his herbs and was no problem to syringe. Lots easier and nicer than repetitive injections that is for sure. So many young horses become sore and distrustful when subjected to this kind of regime. Torres was low in energy, although eating well, but all of his joints were badly inflamed and swollen, and he was very sore and not moving well. His prescriptions for the first 2 months were designed to cleanse the blood, stimulate his immune system and circulation, provide herbal antibiotics and support the liver in its vital role of detoxification. There were 10 herbs in his prescription, which was needed to cover all the areas needed. There were a number of breakouts of infection on his legs and these were treated with my Artisan Skin Balm, which is a great all round herbal ointment. 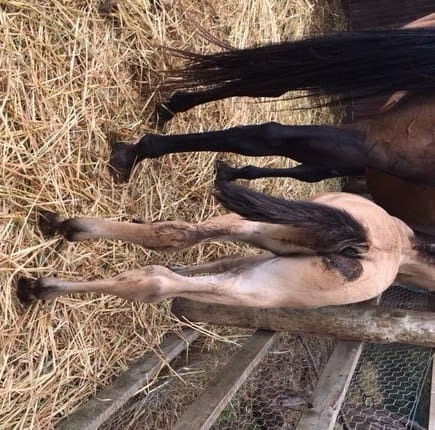 Torres gradually improved during this time with the breakouts healing up, the inflamed joints reducing to normal size, and his energy, appetite and movement all becoming normal for a young foal. At this point I asked for a complete blood profile to be carried out on him, and the vets were very pleased that it showed no infection present. At this point I was able to revise his prescription to place more emphasis on preventing and treating osteo-arthritis now that the septic arthritis was at bay, and also to strengthen ligaments, tendons and muscles and cease the anti-inflammatory herbs. All this time Torres and Pippy were confined to a stable and yard with free access to a round bale of oaten hay and two hard feeds a day based on Lucerne chaff, black sunflower seeds, cold pressed flax oil, boiled barley and Equi-Vital all natural feed supplement with raw wheat germ, French white millet, rosehips, seaweed meal and brewer’s yeast. They are now very happy to be out in the paddock but still on their natural diet. 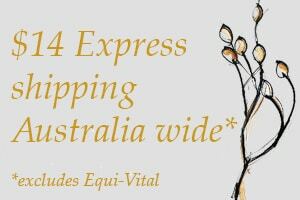 The next episode in this spirited young colt’s life will be weaning, and we all look forward to seeing him fulfil his potential as An eventer for Tamara. It will be well deserved as Tamara and her sister Ashlee are absolutely wonderful horse managers, lucky Torres. 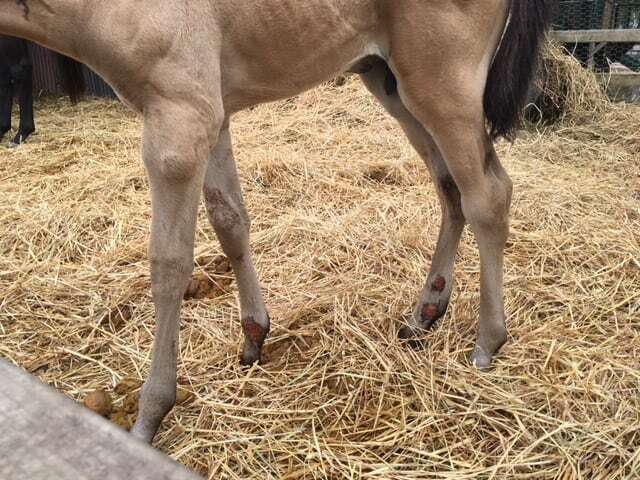 I will be following his progress with great interest as a lot of foals with joint ill are not so lucky, here is some information about this common problem and how to prevent it. Joint ill occurs in foals which have not received adequate colostrum from the dam which means the foal has not received immune protection from her. Joint ill can be treated successfully but only if the condition is recognised extremely quickly. Therefore if the owner of manager is in any doubt whatsoever, foals should have their antibody status checked within 24 hours of birth, with a simple blood test. Symptoms are enlarged joints with pain and heat, elevated temperature, lameness, poor appetite and low energy. The longer the infection is present the more likely the foal will succumb to osteo-arthritis due to irreversible cartilage damage.